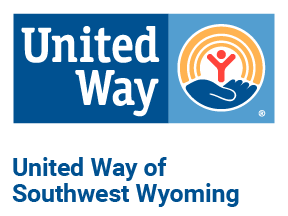 The National Diaper Bank Network (NDBN) has named United Way of Southwest Wyoming’s Community Diaper Bank of Uinta County as one of 28 community-based diaper bank programs in 20 U.S. states as recipients of the 2019 Funds for Change grants. Funds for Change grants are the only national, competitive grant program dedicated solely to supporting nonprofit organizations that distribute donated diapers to families struggling with diaper need. Since the program debuted in 2015, NDBN has awarded more than 150 grants totaling $500,000 to diaper banks throughout the country. • One program demonstration grant of $10,000 to help proven projects scale and achieve national impact. The Funds for Change grant program is made possible by a combination of individual and corporate donations as well as major gifts. Continued financial support will enable NDBN to expand the program into its sixth year. The National Diaper Bank Network (NDBN) is a nationwide nonprofit dedicated to eliminating diaper need in America, by leading a national movement to help meet the basic needs of all babies and their families…including access to clean, dry diapers and other material goods. Founded in 2011 with the support of Huggies®, the network raises national awareness of diaper need (#DiaperNeed) and supports the development and expansion of diaper banks in communities throughout the country. Its active membership includes more than 200 diaper banks, diaper pantries, and food banks located in 49 U.S. states and the District of Columbia. More information on NDBN and diaper need is available at www.nationaldiaperbanknetwork.org, and on Twitter (@DiaperNetwork), Instagram (@DiaperNetwork) and Facebook (facebook.com/NationalDiaperBankNetwork). The Community Diaper Bank of Southwest Wyoming was established in 2013 to keep parents working or attending school and to keep babies healthy. Through collaboration with other agencies in Southwest Wyoming, the Community Diaper Bank helps families struggling to meet their child’s diaper need. To move families toward sustainable economic improvement, they must have a reliable supply of diapers. They must be able to consistently rely on diaper assistance, thereby removing barriers to attending work or school and freeing up discretionary monies for other necessities, such as clothing, food, gas, and rent. The long term goal of the Community Diaper Bank is to be able to provide a steady supply of diapers to needy families throughout Southwest Wyoming.